Key aptitude tests, such as the SAT and GRE, include an algebra section within the math portion of the exam. In lieu of this, college-bound students must master algebra to get into their school of choice. 501 Algebra Questions provides the questions to help master these tests. These algebra questions familiarize readers with algebraic expressions and integers, how to multiply and factor polynomials, and how to use quadratic formulas and sound reasoning skills to solve these problems. In addition, 501 Algebra Questions teaches math-phobics, or those just needing math practice, how to build analytical skills. The International Mathematical Olympiad (IMO) has within its almost 50-year-old history become the most popular and prestigious competition for high-school students interested in mathematics. Only six students from each participating country are given the honor of participating in this competition every year. The IMO represents not only a great opportunity to tackle interesting and challenging mathematics problems, it also offers a way for high school students to measure up with students from the rest of the world. The IMO has sparked off a burst of creativity among enthusiasts in creating new and interesting mathematics problems. In an extremely stiff competition, only six problems are chosen each year to appear on the IMO. The total number of problems proposed for the IMOs up to this point is staggering and, as a whole, this collection of problems represents a valuable resource for all high school students preparing for the IMO. Until now it has been almost impossible to obtain a complete collection of the problems proposed at the IMO in book form. "The IMO Compendium" is the result of a two year long collaboration between four former IMO participants from Yugoslavia, now Serbia and Montenegro, to rescue these problems from old and scattered manuscripts, and produce the ultimate source of IMO practice problems. This book attempts to gather all the problems and solutions appearing on the IMO, as well as the so-called "short-lists", a total of 864 problems. In addition, the book contains 1036 problems from various "long-lists" over the years, for a grand total of 1900 problems. In short, "The IMO Compendium" is the ultimate collection of challenging high-school-level mathematics problems. It will be an invaluable resource, not only for high-school students preparing for mathematics competitions, but for anyone who loves and appreciates math. An accessible text for the study of numerical methods for solving least squares problems remains an essential part of a scientific software foundation. This book has served this purpose well. Numerical analysts, statisticians, and engineers have developed techniques and nomenclature for the least squares problems of their own discipline. This well-organized presentation of the basic material needed for the solution of least squares problems can unify this divergence of methods. Mathematicians, practicing engineers, and scientists will welcome its return to print. The material covered includes Householder and Givens orthogonal transformations, the QR and SVD decompositions, equality constraints, solutions in nonnegative variables, banded problems, and updating methods for sequential estimation. Both the theory and practical algorithms are included. 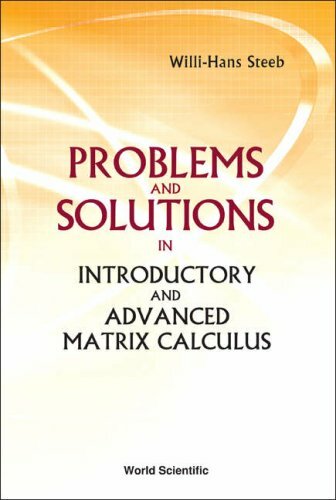 The easily understood explanations and the appendix providing a review of basic linear algebra make the book accessible for the non-specialist. Greeted with terrific reviews, the first edition of this book proved to be widely popular as both a teaching aid and an entertaining introduction to modern mathematics. It succeeded in opening the door for general readers to the power and beauty of a field often thought of as remote and lifeless. In fact, more mathematical research is being done today than ever before, while the field is evolving with unprecedented rapidity and excitement. For this second edition, Ian Stewart has fully revised the text to incorporate recent developments. There are many new illustrations, and three new chapters, including one on Kepler's sphere-packing problem, which has recently been solved, 380 years after it was first articulated. In addition, the book surveys many other areas of current research in nontechnical terms, describing what the key problems are, where they come from, how they get solved, and what can be done with the answers that are forthcoming. Readers will learn what mathematicians are like, and how their work has affected our society and history. Topics include such famous problems as Fermat's last theorem, the Riemann hypothesis, the Poincare conjecture, prime numbers, non-Euclidean geometry, the concept of infinity, probability, catastrophe theory, chaos, fractals, algorithms, and undecidable propositions. 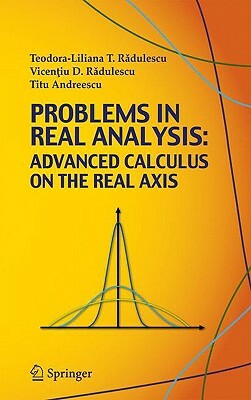 A final chapter discusses the relation between mathematics and its applications. Each topic is developed within a historical framework, and a number of recent breakthroughs are presented for the first time in a manner that general readers will find easy to understand. Ideal as supplementary reading in the classroom, The Problems of Mathematics will also be enjoyed by anyone interested in mathematics or who has sought to understand the fascinating work taking place in the field today.